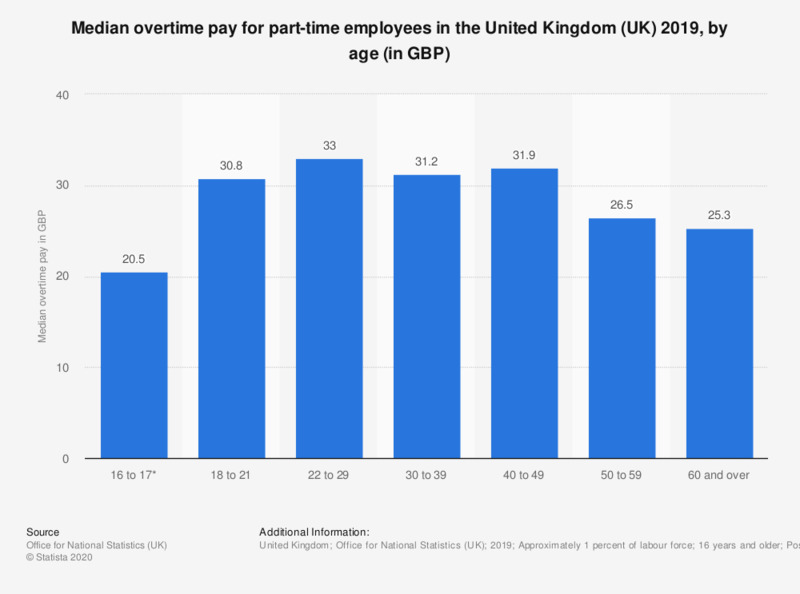 This statistic shows the median overtime pay for part-time employees in the United Kingdom (UK) for 2018, by age group. The age group which earned the highest overtime pay were those between the ages of 22 to 29 years, at 39 British pounds. The age group which earned the lowest overtime pay, excluding 16 and 17 year olds, were those over the age of 60 years, at 22.4 British pounds.